Chelsea transfer news: Pulisic Chelsea bound as personal terms have been agreed. 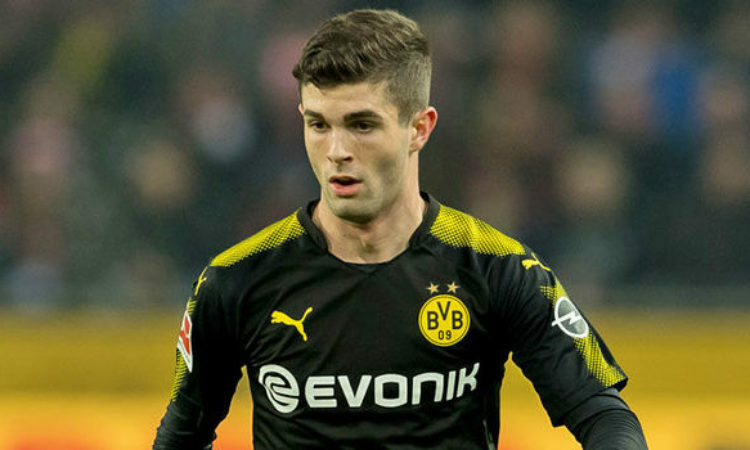 Chelsea according to German media handle Bild, is said to have completed the first step in landing United States and Dortmund footballer Christian Pulisic, by agreeing terms with the 20yr old over a possible switch in the summer. The Blues tried to bring the youngster to the Bridge in the January transfer window but the German side Dortmund refused, as they insisted their player will not be sold at the middle of the season, to avoid disrupting their plans as well as cause football deficiency in the positions. While the London club is yet to strike a transfer fee with the German side, a personal terms of agreement with the United State International have been agreed. Bild further reports that the 20yr old have been promised by the Bundesliga outfit that he could leave the Signa Iduna park for €50 million, a price significantly €20 million less that the purported €70 million demanded months ago. Given age, his past production and the potential to become a star in the Premier League for years to come, €50 million sounds pretty good. It’s happening? Meanwhile Real Madrid’s desire for Eden Hazard has no limit as the La Liga club is willing to offer both Isco and Matteo Kovacic to land the Belgian international.